Home Analysis Does Pakistan have an Alternate Economic Plan to Avoid IMF Loan? At the moment, the truth is that Pakistan has no concrete plan or strategy to avoid IMF loan and the tough conditions attached to it. The possible alternate would be seeking loans from other sources on high mark up. If the PTI government is serious to say goodbye to IMF and other lenders then it should initiate immediately reforming the economy. There is no solution to the Pakistani economic problems and woes without introducing long lasting and serious reforms. The rest is a mere dogma and slogans. 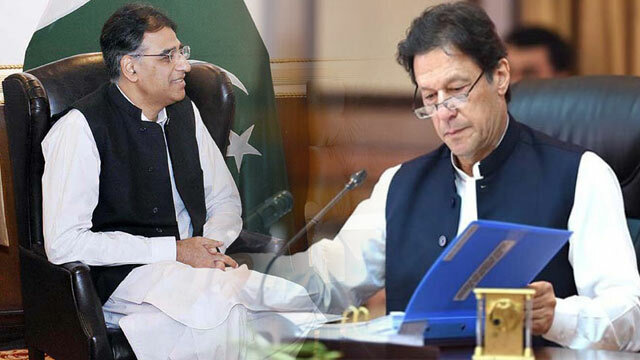 According to the sources in ministry of finance, the federal finance minister Asad Umar briefed the Economic Advisory Council about the negotiations with IMF team. The finance minister told the council that government will have to take tough and unpopular decisions to meet the demands of IMF. These unpopular economic decisions can create problems for PTI government. These decisions will further increase the prices of utilities and food items. On hearing arguments and briefing in the meeting, the Prime Minister asked the finance ministry to continue the negotiations with IMF but also prepare for alternate economic plan to get required money. Now the question is whether Pakistan can avoid the tough conditions of an IMF loan and developed an alternate plan and strategy to stablise the economy and generate the required amount of money without going to IMF. The answer in short term is no. it will take some time to work out such plan and strategy. The problem is not that Pakistan cannot develop such strategy and plan. Pakistan has the potential to stablise and boost its economy without an IMF loan. Pakistan can do that in short and long terms. Pakistan has the potential to raise enough resources within the country to strengthen the economy to such a level that it will never again need such loan. But to achieve this goal and target, Pakistan needs to introduce radical economic reforms in its economic structure. Pakistan has great potential to generate $ 10 to 15 billion within a year from indigenous resources. Ironically, a simple method to generate money has not come into the minds of the economic experts Prime Minister Imran Khan has gathered around him. Pakistan is rich in resources, but the governments after governments could not find any out of the box solution to the economic troubles or tried to avoid the hackneyed path to change the lot of the nation. The economists, including Finance Minister Asad Umar, are clueless to the ground realities and they have solutions provided by foreign international financial institutions like IMF and World Bank. Pakistan has many top internationally recognized economists like Dr. Akmal Hussain, Shahid Siddiqui and Yousuf Nazar to mention few. They can develop an alternate plan and policy to stablise and strengthen the economy without any external help. The problem with the current economic team of Prime Minister Imran khan is that all want to continue the same economic policies which resulted in failures. They are unable to think differently as well as come out of the influence of the bureaucracy which always wants status quo. The government needs to change the basic flawed policy of borrowing and spending. This policy forced us to take more loans to spend even more. Instead of looking inwards to generate resources and increase in revenues, the rulers looks toward outside sources to get the easy money. Unless the holes are plugged, even the IMF money won’t work. In my opinion, there is no need to go to the IMF and the national economy has the power to ditch dollar. But real radical economic reforms required doing so. The current economic team has no such alternate plan and strategy. Under the present circumstances, the present PTI government actually has no better alternative. Not that going to the IMF is a great idea. It’s not. But, they have nothing better. I am surprised if the writer had any expertise or knowledge about economy, he should have at-least given 1,2 out of the box recommendations which he has unable to find from government instead of repeating that “govt don’t have any plan”. He don’t even know that IMF or immediate borrowing is required to bridge the Export/import gaps and generating revenue within the country doesn’t improve export/import balance, but improve GDP and reduce fiscal deficit. The writer is so biased that he didn’t even tried to mention in even 1 line that government already started measures to increase foreign remittance and exports, both of which are important and the ONLY WAY to bridge the Export/imports gap.